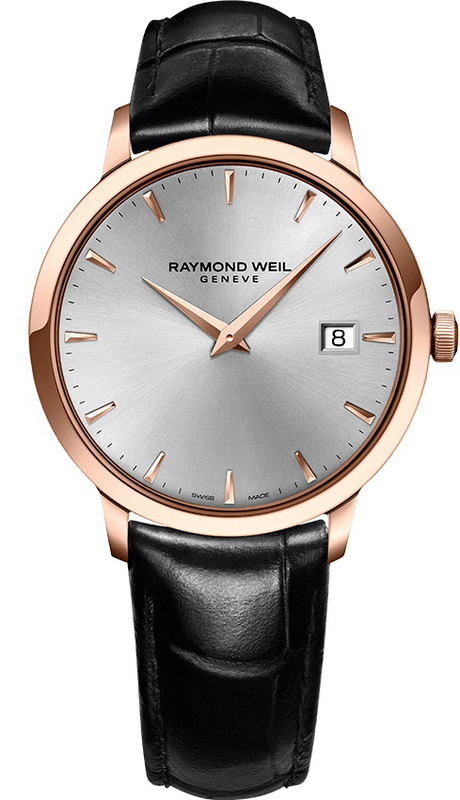 Elegant men's watch from the Raymond Weil Toccata series, which combines great design with good quality. The beautiful silver toned dial, assist this watch in standing out from the crowd. The watch is water resistant to 5 bar and has been fitted with sapphire crystal. Questions regarding this watch ? Get 1 year of extra warranty by signing up for The Weil Club, for a combined 3 year warranty. have questions about this watch? Please check out our FAQ section, before you contact us. Your review should focus on the product at hand and not our service. In addition, feel free to mention likes and dislikes regarding the product and remember to give as many details as possible. Finally, a good review is about honesty – good and bad reviews are equally important.